The Mixing Room now offers live music every Tuesday, Wednesday and Friday night from 6:00pm to 10:00pm. Enjoy drink specials while enjoying the sounds of live jazz, pop and other genres. Season 8 of Chef Gordon Ramsay's popular reality show was filmed right at the JW Marriott Los Angeles and at our own LA Market restaurant. Tune in for the premiere on Wednesday, September 22 at 8:00pm to 10:00pm ET/PT on FOX to watch us in action! This is the last month to experience our "I Love L.A. LIVE" package so pack your bags! Two ESPN Zone game cards. Rates start at $229.00 per night, exclusive of tax. 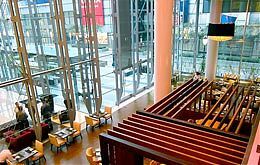 To make a reservation, please visit www.lalivemarriott.com or call (213) 765-8600 and include code ZJ5 when booking. 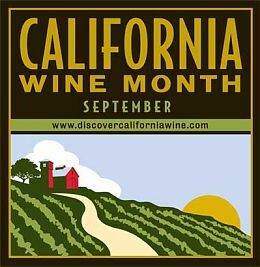 September is California Wine Month, and that makes it a fine time to enjoy a glass of California wine and a visit to wine country. California Wine Month celebrates the state's ideal climate for wine, beautiful wine country landscape, our talented winemaking families, our celebrated lifestyle and cuisine; and our commitment to sustainability and the environment. Join us at gLAnce every Tuesday evening in September from 5:00pm to 7:00pm for "Meet the Winemaker," featuring one of our favorite California winemakers. Taste their wines while enjoying California cheeses. To further celebrate gLAnce will offer California sparkling wine flights Friday, Saturday and Sunday all day and LA Market will offer an expanded selection of California wines by the glass. 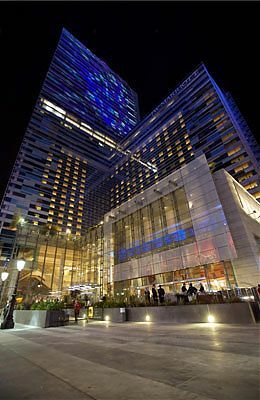 Did you know that the JW Marriott Los Angeles at L.A. LIVE offers over 100,000-square-feet of flexible meeting and event space? For more information, please call (213) 765-8600.